An unidentified student in Delta state was the latest victim of police harassment. 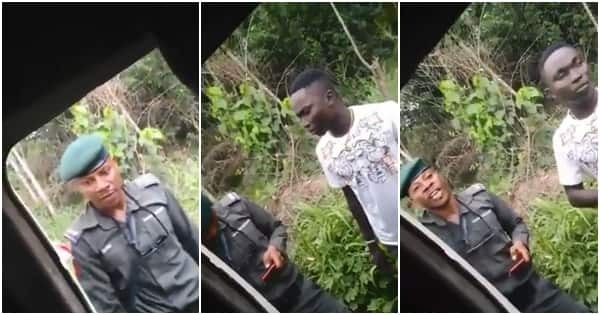 According to a Twitter user, Covenant Buhari, a police officer stopped a bus at Delta state and bullied a student for using an iPhoneX. The officer was angry that the student could use such an expensive phone when he could not afford such after working for over 13 years. He proceeded to tell the student to carry his bag as he dragged him away from the other passengers. Na u buy the phone for him? What is your problem mr police?